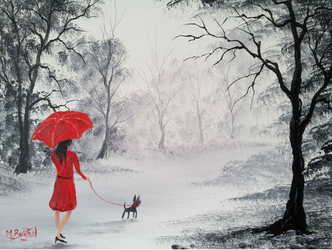 Welcome to the rainy day art page. 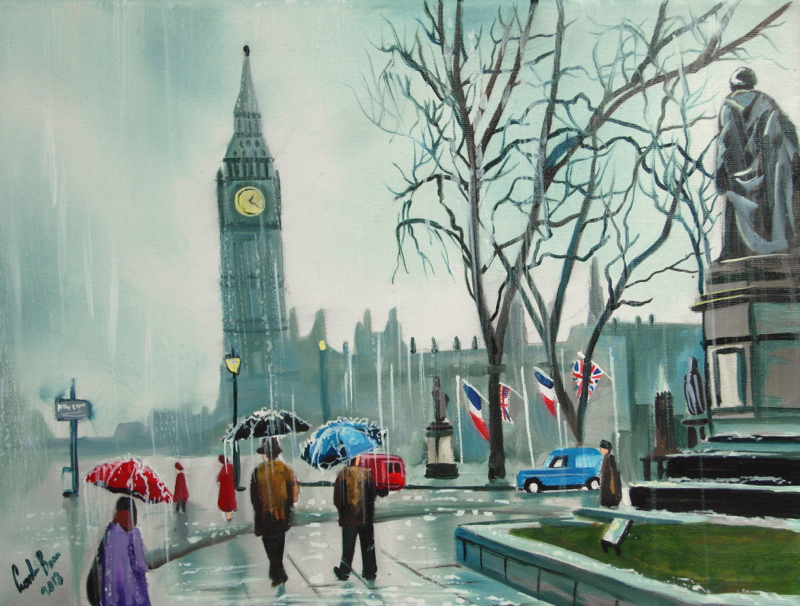 Living in Britain there is one thing that is guaranteed and that it rains a lot. 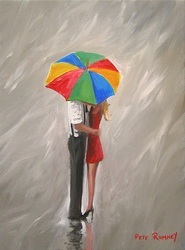 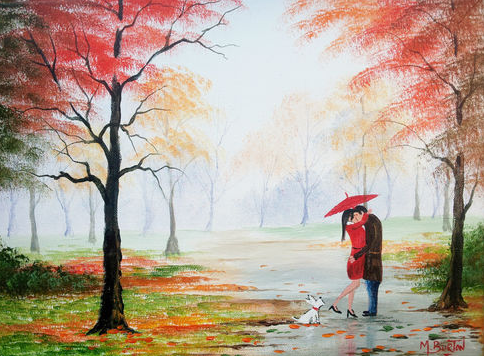 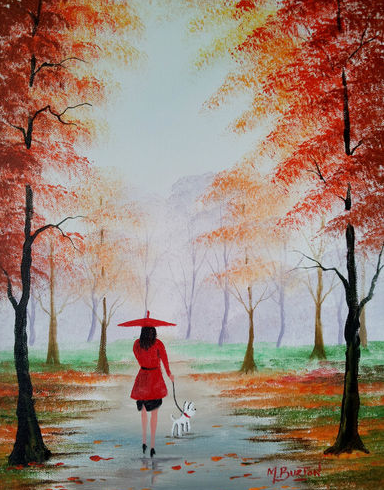 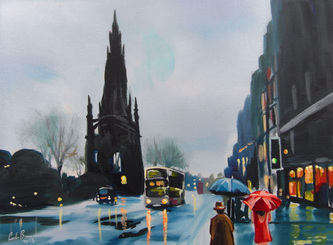 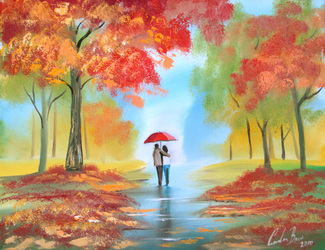 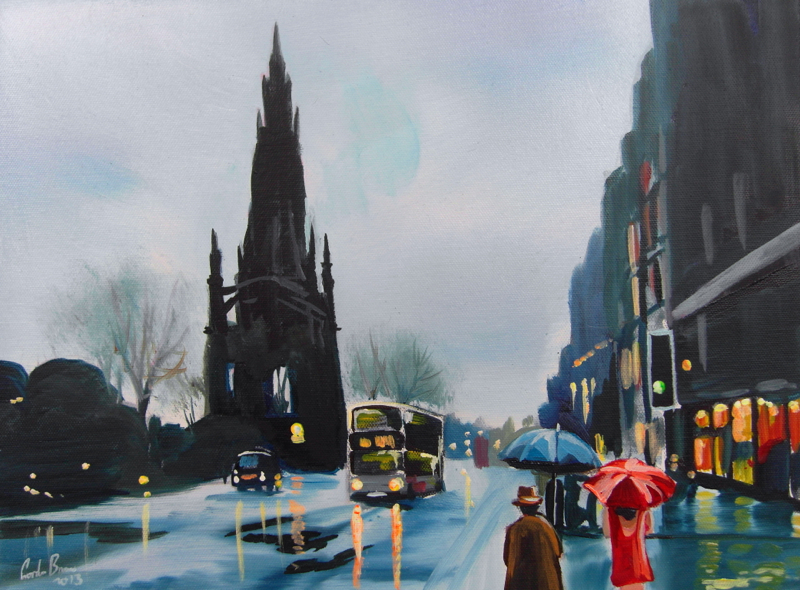 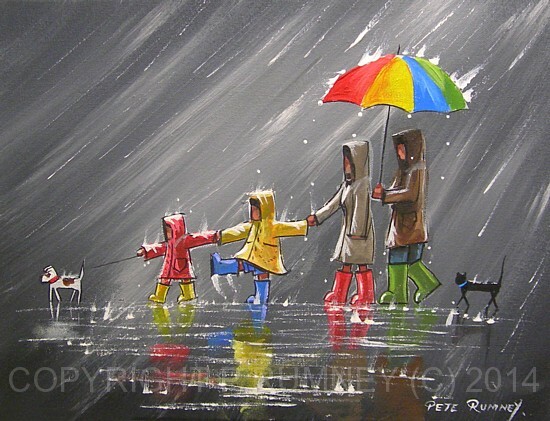 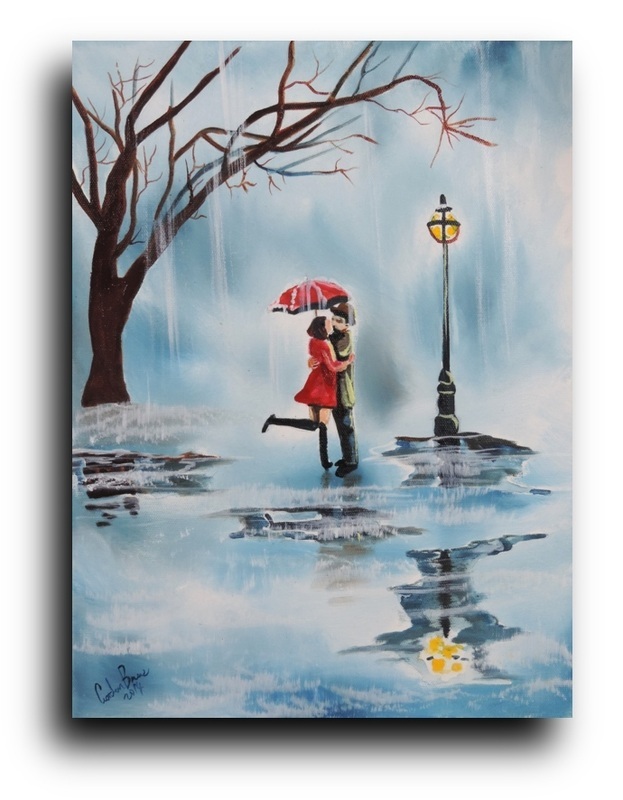 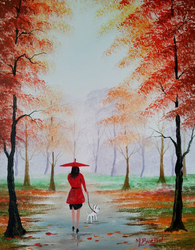 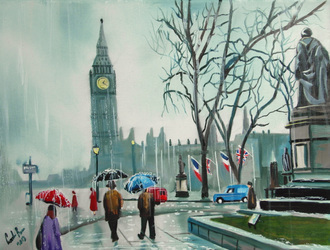 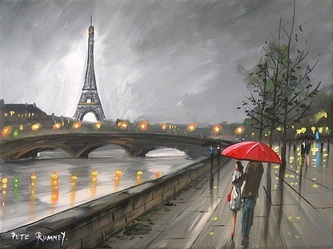 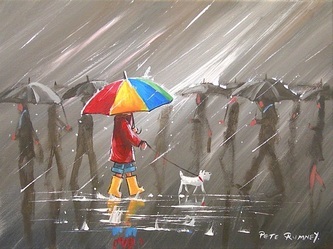 This page is dedicated to romantic couples walking in the rain paintings by Pete Rumney and others. 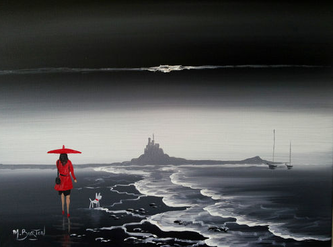 A woman and/or a couple with a red umbrella features prominently in the paintings by our artists.
" 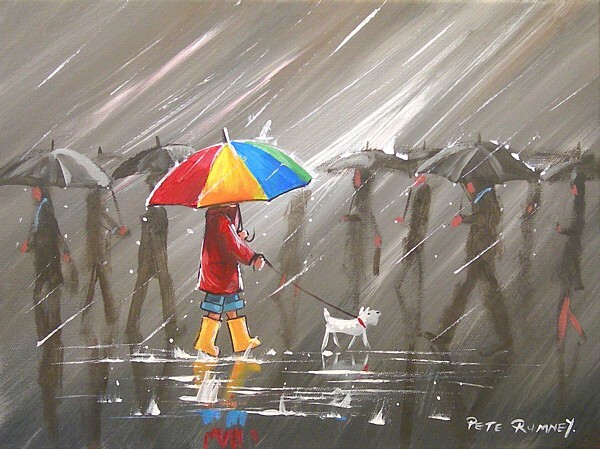 KEEPING DRY ! " " ITS ONLY A DROP OF RAIN ! "